On Sunday the 5 May, Huddersfield will face Manchester United in a match starting at 14:00 in Premier League. If we look at the odds provided by the betting companies, their favoured team for winning is Manchester United. If you're interested in betting on Manchester United, Bethard will give you the most advantageous bet of 19/50. If you're interested in betting on Huddersfield, who are underdogs at the betting companies, you're best off placing your bet at William Hill who will give you the highest odds, of 9/1. In Premier League, Huddersfield and Manchester United faced each other earlier in the season - in a match on 26/12. That time, Manchester United won with a score of 3 - 1. Our betting tool, BetMate, is a service you can use in order to bet on Huddersfield - Manchester United. It works like an odds basket, to which you can add odds in order to calculate how to make the most out of your bet. Simply press the in order to add odds to your basket! 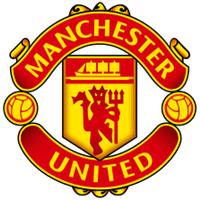 If you want to bet on Huddersfield - Manchester United, you can compare the odds above in order to find the very best odds offered by the betting companies. In home matches this season, Huddersfield has scored 9 goals in Premier League, meaning that Huddersfield has an average of 0,50 per match. On home ground, Huddersfield has conceded an average of 1,67 goals in this season of Premier League. Looking to the amount of scored goals in away matches, Manchester United has scored a total of 31 goals in the 18 away matches they've played this season of Premier League. Manchester United has conceded a total of 28 goals in away matches during this season of Premier League. In the 18 away matches that Manchester United has played, there has been an average of 1,56 conceded goals per match. 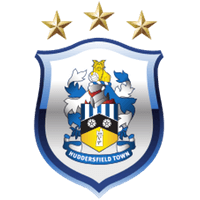 During this season of Premier League, Huddersfield has scored a total of 20 goals in the 35 matches they have played, which gives them an average of 0,57 goals scored per match. During the past season, Huddersfield conceded a total of 69 goals in the 35 matches played in the league. In average, Huddersfield has conceded a total of 1,97 goals per match. Manchester United has produced an average of 1,80 goals per match in the 35 played in Premier League. Looking at the number of goals this season - Manchester United have conceded an average of 1,43 goals per match in the league, in the 35 matches that has been played.